I have to admit that when my friendly Mecca Cosmetica New Zealand PR Monique first told me about Verso Skincare I had heard nothing about it. This is a rarity for me as I’m usually annoyingly ‘in the know’, but the minute I started doing a little research I couldn’t wait to find out more. Straight out of Stockholm, the Verso skincare collection not only looks absolutely stunning sitting pretty in your bathroom - it actually works. And works very well, thank you. 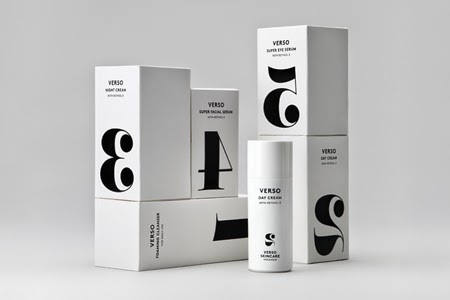 “This is definitely a milestone within modern skincare”, says Lars Fredriksson, the man behind Verso and the developer of the substance Retinol 8, which is a clever complex found only in his range. Retinol has, for a long time, been the most proven effective substance in anti aging skincare products. A well-known side effect though is that it can irritate some skins. Another drawback is that it should not be used in direct sunlight, making it a once-a-day or with-maximum-sun-blocking affair. The main ingredient in Retinol 8 however is a stable substance that is minimally affected by UV radiation and oxygen (unlike regular retinol, which is a sensitive substance). In addition, the active ingredient is so potent that only a small, concentrated amount is needed to achieve visible results. It is basically a new Vitamin A acid derivative that is 8 times more potent than traditional retinol, and in addition, it is stable and gentle for the skin. Amazing! Meaning 'reverse' in Latin, Verso helps to stimulate the skin’s own production of collagen and hyaluronic acid, which can substantially reduce the visible signs of ageing. Magic. The first Verso product I’ve been trialling is the Foaming Cleanser, which is designed for everyday use to "soothe and purify the skin without disrupting the skin’s protective function". It gently removes light make-up and impurities, leaving the skin translucent and clean. It feels absolutely amazing, and is a super refreshing to use in the morning in particular. I love it. The next product I’d like to get my mitts on is the brand’s Super Eye Serum, which pulls out the big guns with Retinol 8 complex. Designed to be used twice a day, it helps to increase the skin’s natural production of collagen, reversing the signs of aging. Specific amino acids are also in there to diminish the look of eye puffiness, dark circles and lines, which gets the thumbs up from me. Verso Skincare is available in store and online at www.meccacosmetica.co.nz right now, so get in there!